"How do we solve a problem like climate change? In the new book Drawdown, a team of over 200 scholars, scientists, policymakers, business leaders, and activists propose 100 practical solutions. Here, the project's senior writer Katharine Wilkinson reveals seven of the most audacious and surprising ideas proposed so far." Living buildingsHow do you make a building that improves the world? That’s the central question behind the Living Building Challenge (LBC), first issued in 2006 and now a program run by the International Living Future Institute. LBC’s holistic approach has seven categories—Place, Water, Energy, Health and Happiness, Materials, Equity, and Beauty—that together define what a living building is and does. Living buildings should grow food and use rainwater, for example, while integrating elements of the natural environment ('biophilic design') and eschewing toxic, 'red-listed' materials. When it comes to greenhouse gas emissions, living buildings make their greatest impact by producing more energy than they consume. More than 350 buildings are in various stages of LBC certification, showing us that our constructions can do more than simply be less bad: they can generate a net surplus of positives for people and planet. Imagine an energy source accessible and affordable to all—and available almost anywhere on the planet. That is the aim of the artificial leaf project, founded by Daniel Nocera, a Harvard professor of energy science. The inspiration is obvious: leaves are masterful at harvesting the energy of the Sun through photosynthesis, converting it into energy-rich biomass and sequestering carbon in the process. Last year, Nocera and fellow professor Pamela Silver announced a giant step towards the goal of inexpensive fuel made with sunshine, water, air...and bacteria. First, a solar-powered process breaks water (H2O) into hydrogen and oxygen. Then, engineered bacteria consume the hydrogen, along with carbon dioxide, and synthesise alcohol fuel. With higher efficiency than natural photosynthesis, the artificial leaf may someday become a real source of energy. Like the artificial leaf, direct air capture (DAC) takes its inspiration from photosynthesis—the capture and transformation of carbon dioxide into plant matter. DAC machines act like a two-in-one chemical sieve and sponge. As the air passes over a solid or liquid substance, the carbon dioxide binds with chemicals that are selectively 'sticky', ineffective on other gases. Once those capture chemicals become fully saturated, molecules of carbon dioxide can be extracted in purified form. DAC shows promise for sequestering the planet’s most abundant greenhouse gas. What’s more, captured carbon dioxide can find a wide range of uses—from enhancement for greenhouses to synthetic transportation fuels to plastic, cement, and carbon fibre—though most are still nascent technologies. If DAC developers prove the technology can be both energy-efficient and cost-effective, its future will be bright. On 29 kilometres of highway located south of Atlanta, Georgia, an initiative called The Ray is working to morph a stretch of asphalt into a positive social and environmental force: the world’s first sustainable, 'smart' highway. Electric vehicles and clean energy are focal points for The Ray: infrastructure for solar-powered car charging, a solar photovoltaic (PV) farm along the highway right-of-way, and even PV road surfaces. The aptly named Wattway, a French technology, is a road surface that will produce solar electricity while improving tyre grip and surface durability. Modern motorways have seen little advancement in design since their inception. Given climate change and the arrival of electric and autonomous vehicles, they need a smarter way forward. The Ray and other pioneers may prove that this dated infrastructure can become clean, safe, and even elegant. Can we move transport beyond planes, trains, and automobiles? Inventor and entrepreneur Elon Musk imagines that humans and freight will, before long, have the option to travel through low-pressure tubes by levitated pod. He calls that vision the Hyperloop. The promise of the Hyperloop is two-fold: speed—up to 1200 kilometres per hour—and efficiency—trimming energy use by 90 to 95 per cent. Both are aided by eliminating the friction of wheels and resistance of air. Musk has made the Hyperloop concept public, tapping competition as an accelerant for its development. To date, various entities have built prototypes, and successful test runs are now on the books. Ultimately, passengers could glide from Amsterdam to Paris or San Francisco to Los Angeles in roughly half an hour—for the cost of a bus ticket. Plants need nitrogen to grow. Today, many farmers supplement their fields with synthetic nitrogen fertilisers. While crop yields may rise, producing such fertilisers is energy-intensive. Unused nitrogen also migrates into waterways, causing overgrowth of algae and marine 'dead zones', and into the air as the potent greenhouse gas nitrous oxide. Enhancing the soil microbiome—the microbes that call the soil home—offers a better way of nourishing plants. In a thimble’s worth of soil, there can be up to 10 billion microbial denizens: bacteria, nematodes, fungi, and more. Legumes, such as alfalfa and peanuts, have a symbiotic relationship with select bacteria, passing carbon to them in exchange for nitrogen. Most crops lack this ability, which is why scientists are looking to harness microbes that can work more broadly—with wheat, rice, and more. Someday, farmers may opt out of nitrogen fertilisers and use nitrogen-fixing bacteria instead. Permafrost is a thick layer of perennially frozen, carbon-rich soil that covers a quarter of the Northern Hemisphere. Perma indicates permanence, but this soil is thawing as the world warms, releasing greenhouse gases in the process. Sergey and Nikita Zimov, father-and-son scientists, are piloting a solution in Siberia: returning native fauna to the area. A grassland ecosystem called the mammoth steppe once spanned the regions where permafrost is found. Today, herbivores no longer roam the region, except at the Zimovs’ Pleistocene Park. When Yakutian horses, reindeer, musk oxen and the like push away snow and expose the turf underneath, the soil is no longer insulated and drops a couple of degrees in temperature—just enough to remain frozen. Repopulating the mammoth steppe more broadly, the Zimovs say, could help to keep the permafrost frozen, and the greenhouse gases locked up. Stepping onto a liberal arts campus always feels like coming home. It feels that way for lots of reasons. Because they’re communities where ideas are the connective tissue. Because they’re places where the libraries have friends. But especially because there’s no better ecosystem for a hopeless interdisciplinarian. My advisor at Sewanee, Jerry Smith, would say emphatically: “specialization is for insects.” Perhaps because specialization eludes me like, very much like a zippy winged bug, I wholeheartedly agree. ​So I’m going to take this setting and its deeply interdisciplinary purpose as an invitation, maybe even an excuse, to give a wide ranging talk that weaves together multiple, seemingly disparate threads: evangelicals and climate change, civic engagement and dinner parties, a bit of Shakespeare for good measure. It runs the risk of giving you too much insight into the veritable smorgasbord of my educational and professional life, but clemency is what the wine’s for. The thread that holds these topics together is a question that can be found living comfortably on a leafy green campus like this one, in hearts and minds of all ages, in a high-powered boardroom, or amidst the hustle and bustle of a city: What does it mean to find a sense of purpose? And how can purpose be an animating force for individuals, institutions, communities, and social change? This exploration will give us our conceptual backdrop for conversation over dinner and dialogue about Charleston’s present and future – a weighty, timely topic, given the grievous events of this week. The dictionary definition of purpose is “the reason for which something is done or created or for which something exists.” That is, the singular raison d’être of a person or a place or an entity. This is the definition we use in our work with companies at BrightHouse. Not what you do or sell, not where you’re going, not how you operate – purpose is the why, why you exist as an organization. We help companies define and live into their reason for being in the world. “But don’t companies exist to make money?” I am often asked. Sure, companies have to make money to exist, just like we, as human beings, have to eat to stay alive. But as we all know, human life isn’t just about subsistence; it’s about love and laughter, community and connection, struggle and sacrifice, making memories and making a difference. Think of a company you truly admire – not just like or have loyalty to, but really, truly admire. I suspect your admiration isn’t just about shareholder returns; we admire companies that stand for something, that have a compelling role in the world. Purpose, in this context, is powerful. It gives companies an essential north star that can align and inspire thousands of employees, that can guide the organization even as markets shift and industries transform, that inspires stakeholders, drives societal impact, and ultimately does benefit the bottom-line in significant ways. It may come as no surprise that the other question I’m often asked is this: “Can you help me find my purpose?” On the one hand, I see each of those questions as a hopeful data-point, suggesting that impact and fulfillment are trumping conventional definitions of success, that meaning is the currency of greatest value, that the human need for wholeness is being heeded, rather than bifurcating “what I do” from “who I am.” But it’s also a question that’s come to trouble me more and more, not just because of the angst that often accompanies it. What troubles me is the sense of singularity and clarity implicit in the question – and in our public discourse about purpose generally. It suggests that purpose is a thing, a capital “A” Answer – perhaps sitting out there somewhere, waiting for me to find it, if only I had the map; or in here somewhere, if only it would come out to play. It somehow suggests that I’m stuck, waiting for purpose to find and redeem me, so we can be together forever and ever amen. It also suggests that until I have that thing, purpose, I’m simply muddling about in no man’s land, frittering away my life, lost in some kind of unenlightened fog. This way of thinking about purpose can foster fear and trembling, a sense of paralysis, a wait-and-see approach to life. It can also foster a terrifying level of certainty and resistance to growth and evolution. But if we turn the kaleidoscope just slightly, we can start to see purpose not as an end game but as a way of being. Randolph Hall at the College of Charleston. To begin unpacking this way of thinking about purpose, let me turn back the clock to 2006. At the time, I was a newly minted BA, working for the Natural Resources Defense Council – one of the big environmental advocacy groups – on forest and land-use issues in the Southeast. To wield some blunt stereotypes, I was spending a lot of time in country music, NASCAR, mega church country – and I was struck by how often the environmental movement speaks right past audiences it really should engage. And I was wrestling, as an idealistic 22-year old, with how to build political will and public engagement around issues that had such a strong hold on my own heart and mind – but consistently ranked near the bottom of most people’s concerns. In the midst of this wrestling, I encountered a surprising full-page ad in the New York Times announcing: “Our commitment to Jesus Christ compels us to solve the global warming crisis.” It was a coming out notice for the Evangelical Climate Initiative, a coalition of evangelical leaders from across the country who were standing up and speaking out on the issue of climate change – in stark contrast to the conventional wisdom about evangelical issues and politics. Not an evangelical myself, I was both perplexed and intrigued by this burgeoning phenomenon and its potential to be a force for change. A Rhodes Scholarship to Oxford gave me the opportunity to indulge that interest at length. For my PhD research, I left behind the pubs and punts of the UK and toured across the American evangelical landscape, interviewing evangelical leaders who had taken up this charge, doing focus groups in churches, and getting immersed in what I came to call the climate care movement – its history, strategy, successes, and struggles. Ultimately that research found a home in my book, Between God & Green, which chronicles the story of evangelical climate care. Many of the conversations I had were fascinating, eye-opening, inspiring, but one story stands out. In the summer of 2002, two unlikely acquaintances found themselves walking together along a park path, beneath Oxford’s “dreaming spires.” At the time, Richard Cizik was the head lobbyist and public policy guru at the National Association of Evangelicals, in Washington, DC. Sir John Houghton had recently wrapped up 14 years of chairing the scientific arm of the Intergovernmental Panel on Climate Change – a big name for an organization with a big task: synthesizing peer-reviewed climate science from around the world. The two men were there for a gathering of climate researchers, policy makers, and Christian leaders, but slipped off at some point for a more personal conversation. In addition to being a preeminent atmospheric physicist, Sir John is also a steadfast evangelical – he and Cizik share a core set of beliefs and religious identity. And as they strolled, he spoke to Cizik about his own experience at the intersection of faith and science, making the case that no Christian could “shirk, shrug, rationalize, or escape” the biblical responsibility to care for God’s creation and, hence, to address climate change. Cizik describes feeling his heart “strangely warmed” and experiencing what he identifies as a conversion to climate change – echoing his conversion to Christ two decades earlier. Sensing that God had intervened in his life at this crucial moment, Cizik departed Oxford with a passionate commitment to addressing the issue – joining other key advocates back on this side of the pond. Cizik’s is a powerful story, and we could tease out many lessons from it. About the power of shared identity and sense of trust is can foster – especially when you get the right match between the message, the messenger, and the audience. About the power of real, interpersonal dialogue on a thorny political issue, rather than the black-and-white debate that limits us to half-truths and half-solutions. We could take from it insights about the power of going beyond the nuts-and-bolts of an issue to the values, beliefs, and meaning at play – in this case, beyond the what of climate science to why it matters and why we’re called to engage. But there’s a rich lesson here about purpose as well. For Cizik, his “climate conversion” isn’t a moment of finally finding his purpose, invalidating all that came before and dictating everything yet to come. It’s a moment of listening, both to his own being and to the world around him, and realizing an incongruity in his life – that he can’t be a Christian and not care about the future of our planet and its inhabitants. It’s a tension he can’t abide. He must bring his beliefs and identity into alignment with the ways he lives and leads. It’s a powerful moment, but, I imagine, just one such moment in a lifetime of them. Cizik’s story reminds us that purpose isn’t singular, and it isn’t static. It isn’t about getting to an answer that makes everything simple. Purpose is about spending our days in worthy ways – many worthy ways, ways that may even surprise us or rub up against entrenched ways of being or doing. So rather than keeping a hopeful ear out for our purpose, our calling, we need only hear the call to live purposefully – with purpose – with intention and resolve. And we can heed that call to live with purpose in ways small and large, in circumstances of all stripes, wearing all of our different hats from friend to citizen to professional. In a nod to the library, we can think of this task of living purposefully as the ongoing task of being a reader. Reading ourselves – applying the power of introspection to understand who we are, our true nature, and what we stand for. But also reading the world – using the power of “outrospection” to see ourselves in context and perceive the needs of others and society. Inviting a dialogue between those two – the inner and the outer – and taking part in the constant evolution of their confluence – that’s what purpose is about. It’s this meaning of purpose that finds a home in the name “Cities of Purpose” – the civic venture I co-founded with Dar Vanderbeck and Jenn Graham, two fabulous partners in what civil rights icon John Lewis calls “good trouble, necessary trouble.” We kept finding ourselves in similar conversations: “I know there are exciting things happening in Atlanta, but I can’t find a way to dig in.” “I want to be involved in shaping the future of our city, but there aren’t any good footholds.” “I’ve been here for three years, but I can’t find my people. I guess I’ll have to move back to New York.” They nagged at us, these comments. There’s so much energy in the city, for the city, for helping to write its next chapter, but forums to channel that energy are wildly deficient. There are certainly meaningful platforms for engagement, but they’re largely inaccessible, behind closed doors, pay-to-play – they privilege older, wealthier residents, often more white and more male. And then there are accessible platforms for “engagement,” but the irony is that they couldn’t be less engaging – lengthy online surveys or drab town halls, where you, Citizen Jane, can make your 45-second plea beneath the buzz of fluorescent lighting. If it’s called civic engagement, shouldn’t it actually be engaging?? We think it should be – and we think it can be. So, we’ve set out to reinvigorate the way we foster community and engagement in the 21st century city. We believe places are made by making places at the table: that people want to be connected in and to their cities, but often struggle to find footholds; that the most successful cities create open access to community and voice; that relationships are a key ingredient to vibrant societies. So we’re reinvigorating an age-old tradition: gathering around a table to break bread, forge new relationships, and have purposeful conversation about our greatest hopes for the places we call home. Let me paint a picture for you: It’s a Sunday evening. Ten Atlantans from six different neighborhoods are gathered around an old wooden table in someone’s home. One was born in Atlanta; another just arrived three weeks ago. They’re sharing their favorite secret spots in the city. They’re articulating their greatest hope for Atlanta. They’re exploring what the world would lose if Atlanta were gone tomorrow. It’s a conversation they’ve never had about this place they share. New connections are being formed; old relationships are being enriched. Fresh ideas for change are bubbling up. The people around the table feel a sense of place, of community, of belonging. They feel more connected to and more engaged in their city than they did two hours before. Now imagine scenes like this popping up all over Atlanta. That’s what happened last year, when we launched our pilot Civic Dinner Party Project. Bootstrapped with passion, our Atlanta pilot taught us that the hunger for a place-based community of engagement is deep – even deeper than we had realized. But we desperately need more relevant and vibrant platforms to build and sustain it. Having created our prototype last year, we’re now deploying the Cities of Purpose model in a variety of ways, all designed to invite fresh voices into charting the course of our city and to capture ideas and insights from these “dream big” and “think bold” dinner conversations. We hope Atlanta is only our first testing ground because, of course, we aren’t alone in our civic engagement challenges, nor in the incredible opportunity of tapping into citizens’ energy and interest. In 2008, humankind officially became an urban species, with the majority of people on our planet now residing in cities – and that percentage continues to climb. Our complex urban systems face huge challenges of mobility, sustainability, equity and inclusion, and competitiveness. At the same time, the success of cities depends upon their openness, hospitality, and associational quality – inviting civic connection and participation, building social capital. Research suggests social networks may, in fact, be a city’s most essential asset – helping seize the highs and make it through the lows. So we have to face these challenges in community, bringing together people and place, with purpose. And something as simple as an old wooden dinner table can be the birthplace of social change – connecting thinkers and doers, raising questions worth asking and issues that matter, creating a catalyst for connection and an engine for ideas. The dinner table can make a powerful invitation to be a citizen of purpose and join a community of engagement. And for us, as co-founders, cultivating that invitation, sustaining that community, creating a sense of belonging that forms the basis of long-term change – that’s a noble purpose indeed. The dinner table, of course, is not far off from the seminar tables dotting this campus, nor from an intimate roundtable once held in John and Libby Winthrop’s home. As a deeply, intentionally place-based community, the liberal arts college can cultivate the kinds of purposeful people – neighbors, citizens, professionals, leaders – our society depends on. 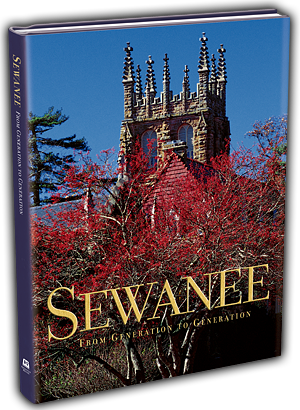 When I passed through Sewanee’s gates with diploma in hand, I could never have imagined what the next 10 years would hold in store. I had some notion that my life’s purpose was sustainability – “to work for the world’s benefit, maintaining its treasures and repairing its wounds.” What I didn’t realize was that Sewanee had equipped me in critical ways – not to pursue a purpose, but to live purposefully in the world, to craft a life mosaic with intention and resolve. That’s because, at their best, liberal arts colleges aren’t just shepherding the life of the mind; they’re also tending to the life of the heart – something we under-index on in higher education today. When these institutions are at their best, students hone a critical eye with many lenses, as well as a hopeful heart, committed to a brighter future. As the current of our world becomes increasingly swift and unpredictable, graduates’ ability to read themselves and the world around them will become more and more important. For straight paths will elude them, and straight paths, I would argue, have never been the point anyway. 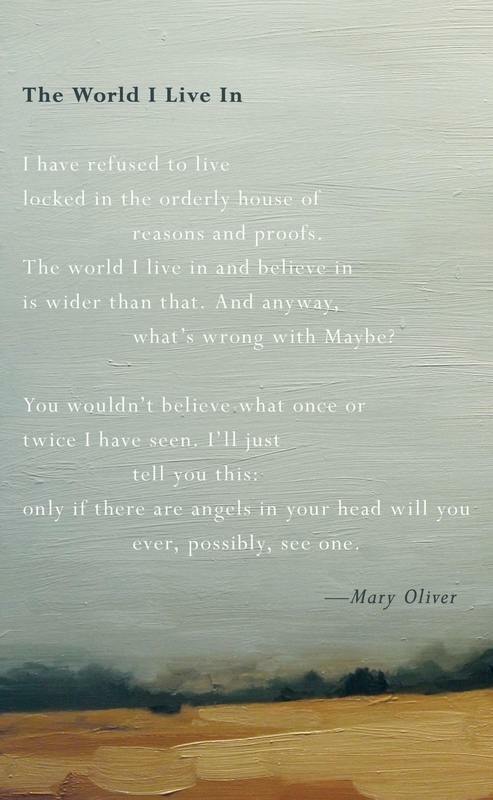 I concluded my undergraduate valedictory address with poet Mary Oliver’s poignant question: “Tell me, what it is you plan to do with your one wild and precious life?” But I would propose now that the task of life is not to have one answer to her question, but to engage with it over and over again. It’s less about planning, and more about living into life’s wildness, life’s preciousness constantly and with plurality, learning from the moments when it all happens beautifully, and from the moments when the train really jumps the tracks. My life has certainly spoken to me through both – including instances of indisputable insistence that I change course, or risk a full-fledged revolt. I promised you Shakespeare, so let me end with the Bard before we feast. When blind Gloucester and mad King Lear encounter one another on the heaths of Dover, Lear asks his old friend, “Dost thou squiny at me?” Though Gloucester has nothing more than a case of eyes, Lear makes a piercing assessment: “yet [Gloucester] you see how this world goes.” Yes, Gloucester says, “I see it feelingly.” To see the world, and our place in it, feelingly is at the heart of the journey of purpose and the purpose of the journey of being human. For all of us who’ve wondered, “what might my purpose be?” this may be the best news of all. Forget nailing it down once and for all; purpose is in the process and being purposeful is a limitless proposition. Purpose film for the East Lake Foundation and Purpose Built Communities. Letter from Oxford: But Which Door? Central to American conventional wisdom on the benefits of being a Rhodes Scholar is expanded career opportunity. “So many doors are open to you now,” a second cousin applauds the week after the awards have been made. “You could be the president some day!” says a college friend, only partially in jest. And, without giving it much thought, a family friend remarks, “Well, your resume is now complete.” You are fairly certain all of these comments indicate something good—that this thing you’ve just received, made possible by your hard work but in large part thanks to a heavy dose of luck, will benefit your career and have a positive impact on your life. Yes, of course it will. But as you breathe an exhausted sigh of relief and joy, suspicions begin to sneak in that you now have to live up to the potential the selection committee perceived in you, that you must do something terribly impressive with your life, that with so many doors open it may be hard to choose which one to walk through or which one is best suited to your strengths and weaknesses, and that if you end up twenty years down the road in a career that leaves you unhappy or unfulfilled, you have no one to blame but yourself. After all, once upon a time, at twenty-three, the world’s oyster was cracked open for you, just waiting to be (successfully) devoured. Louisiana hot sauce anyone? Columbia University professor Sheena Iyengar studies choice. Her research flies in the face of the notion that more choice is always better, always improves the well-being of the chooser. Too many varieties of jam, chocolate, or mustard can be de-motivating, even paralyzing; there are very real limits to the benefits derived from choice. Iyengar and her colleagues suggest that “maximizers may be less satisfied than satisficers and experience greater negative affect with the jobs they obtain because their pursuit of the elusive ‘best’ induces them to consider a large number of possibilities, thereby increasing their potential for regret or anticipated regret, engendering unrealistically high expectations, and creating mounting opportunity costs” (p. 148). In other words, “Even when they get what they want, maximizers may not always want what they get” (p. 149). As a Rhodes Scholar considering the many doors available to me, I suspect I may resemble a Whole Foods shopper paralyzed by an immense selection of organic green teas. If able to overcome this paralysis and make a purchase, the careful shopper may return home, brew a pot of loose leaf, and find that, despite reviewing his options for 9-? minutes, a pang of dissatisfaction nags. This discontentment may sound like a contrived yuppie psychological ill—something to be written off because only the very privileged could suffer from it—but if the act of considering options really does undermine well-being and thus our potential to do good work in the world, the maximizers among us might benefit from paying greater heed to the choice process and its challenges. Having a sense that, faced with tradeoffs, the more options we forgo, the “more” we are in effect giving up, some of us seek the escape of not having to choose. “I want to keep all my options open,” says a scholar who’d like to combine non-profit, academic, and business pursuits. Regarding summer plans, another scholar debates between working for a presidential primary campaign, interning at Google, or taking time to “think, read, and write”—but really desires to do all three. For me, this means resisting the disciplinarity of academia despite my hope of becoming a professor and university president—or maybe a…. For others, the solution is to go with prestige as a form of external approval. But, in many ways, the Rhodes is the end of this line. Yes, we may receive more awards or grants, but there is no external authority “out there” waiting to give us a pat on the back and reassure us that our hand has been well played. For a group of people who, in many ways, have gotten where they are by seeking to please and have received the constant confirmation that comes along with being a pleaser, the real challenge is being our own evaluators and finding our own sources of satisfaction. Here at Oxford, I often struggle with the necessity of giving up options or settling on something less than “perfection.” I endeavor to think through and clarify what “success” would mean for me personally and on a variety of fronts. I consider the ways choice paralysis could impact not only my career but my relationship decisions as well. I attempt to align values and goals, interests and responsibilities, and to create a coherent mosaic of often discrete and at times contradictory elements. And I find this process all the more difficult given a general dearth of mentorship here. So which door should we choose? Or, as a beginning step, which doors should we remove from consideration? Frustratingly, I have no answers to these questions, and perhaps my personal answers would have no relevance to others. I do know that while we have big, multifaceted dreams, the hard reality is we must take small steps to get there. (The trick here, of course, is discerning which small steps to take.) A steady mosaic of life won’t be achieved by age twenty-six. It took a succession of efforts—some small, some large—to reach this point in our lives. Can we learn to be satisfied with the reality that we can only pass through one door at a time, or will we eternally search for the mirage of a door that leads simultaneously to two rooms? I also suspect we may find comfort and aid within the Rhodes community (or some semblance thereof) itself. With so many interdisciplinarily-minded, schizophrenically-passionate people about, we are bound, at the very least, to find companions in our efforts to sort through these challenges, if not excellent sources of guidance and sanity. Though our lives are singular, we are bound together by the search to create a career and a life that pulls together a diversity of interests, brings positive change to the world, and achieves balance amidst the many open doors. In the end, this may be the real gift, the true opportunity made available by the Rhodes. Wait a second. I think perhaps that conclusion is too neat and tidy—too wrap-up-the-valedictory-and-send-graduates-off-into-the-worldfull-of-hope, too lifestyle-magazine-I-learned-to-embrace-life’s-challenges-by-finding-joy-in-the-little-things. I began working on this piece last Trinity term in an effort to make some sense of this aspect of the “Rhodes experience,” and that closing line is what I told myself (and any potential readers) when I first put pen to paper. And I do think there’s some truth to it. But a couple seasons later, I’m still stuck, and not for lack of trying. In fact, during a Labor Day gathering, two 2005 scholars and I mapped out and analyzed the post-Oxford range of possibilities. Despite our best attempt to impose form on this amorphous challenge, we were left with more questions than answers. To be frank, I think many of us are stuck, and the resources for unsticking are in short supply. Nearing the end of Michaelmas during this, our second year at Oxford, the days are growing short and cold and most of my classmates and I are beginning to sort out what comes next. Some may postpone such decisions for another year or two as they pursue D.Phils. Of late, a handful of firms have emerged from the mentorship abyss to help us with this choice, hosting recruiting events and hoping to inform and woo potential applicants. In the case of Google, this took the form of an extravagant party in London. As many things do, these happenings have elicited pointed e-mails on the Rhodes listserv or, at the very least, biting comments amidst more lighthearted postings. Are America’s “best and brightest” mindlessly or, worse, greedily “selling out”? In my mind, the better question is this: are we successfully preparing students to tackle complex problems in an increasingly complex world while leaving them high and dry on how best to apply their newfound knowledge and skills? Poring over public sector job postings, openings for newly minted graduate students that aren’t essentially paper pushing or research-based seem few and far between. For those scholars looking to leave academic study, the question arises: where are jobs that would challenge me intellectually, provide an avenue for working on high-level problems, and allow me to have an impact? Should I do something entrepreneurial (try my hand at a writing career, for instance, or, a crowd favorite, “start my own non-profit”) or look for a position well within the establishment? Should I follow my idealistic side or my pragmatic side, and could the two be aligned? Are my expectations just totally unrealistic? What can I do now that will prepare me for and launch me into the things I see myself doing in ten or twenty years? Many of us feel we have a strong set of qualities and skills to “bring to the table.” But where is the table? So while confronting choice paralysis, many scholars also seem to be encountering a discouraging dearth of immediate opportunities, and both struggles are further entrenched by a simultaneous shortage of guidance. As I have suggested, we can certainly be each other’s greatest supporters and advisees in many aspects of life, but when it comes to taking the next step, even self-reliant self-starters need the input of more experienced mentors. As we squeeze out of Oxford rich and wonderful experiences, we are haunted by anxiety about what comes afterwards and we flip through the AARS directory—filled with people who’ve somehow managed to make this transition!—looking for suggestions it doesn’t contain. In Andrew Marvell’s “To His Coy Mistress” the speaker appeals to his beloved: “But at my back I always hear / Time’s winged chariot hurrying near.” On the topic of youthful love, the choice is clear: embrace! But for those of us haunted by time’s winged chariot in another sense—that our years to make an impact are finite—what should be our response? While I acknowledge that attending an intimate liberal arts college biased me in favor of mentorship, I wonder: Can we move beyond choice paralysis without genuine guidance and counsel? Or are we destined to depart Oxford nagged by the question: Which door? 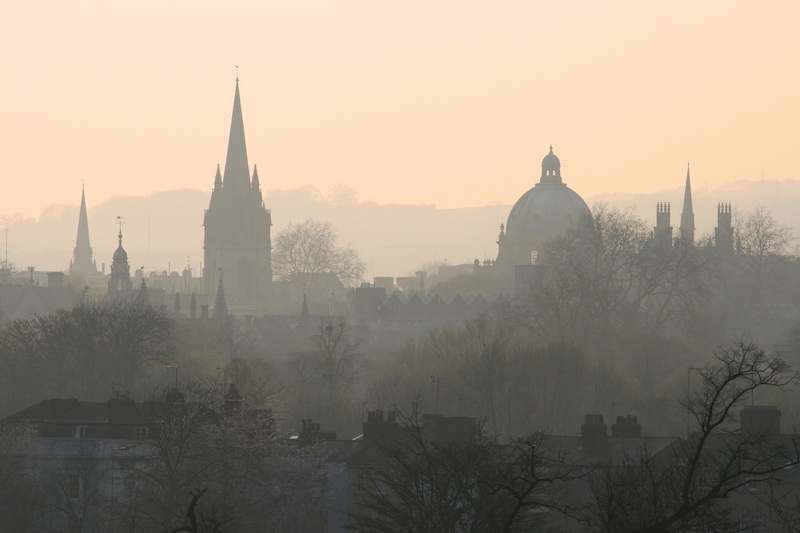 Oxford University’s “dreaming spires.” Image Credit: James Morrissey.